Tommy Hilfiger FW2015 Menswear & woemenwear collection, F.A.M.E. 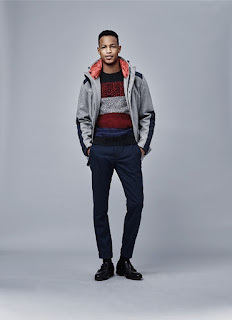 is inspired by the fusion of fashion, art, music and entertainment - Mr. Hilfiger’s longstanding passions and most constant sources of inspiration since founding his namesake brand in 1985. From jet-set rock star style to ‘60s graphic art, the collection blends elements influenced by the best of pop culture. Mod silhouettes are updated with a contemporary cool, while the classic red, white and blue color palette gets a retro ‘70s twist. The collection’s iconic Americana roots are emphasized with casual tailoring, spirited patterns and bold color. In the first fashion group, Fashion, pieces are inspired by a modern reinterpretation of Tommy’s personal favorites from his teenage years in the late ‘60s and early ‘70s. 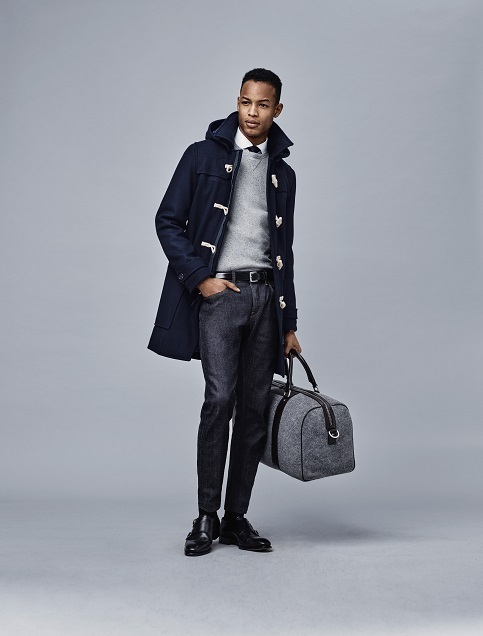 Dressed-up chinos, classic oxford shirts and tailored blazers celebrate the brand’s preppy heritage. 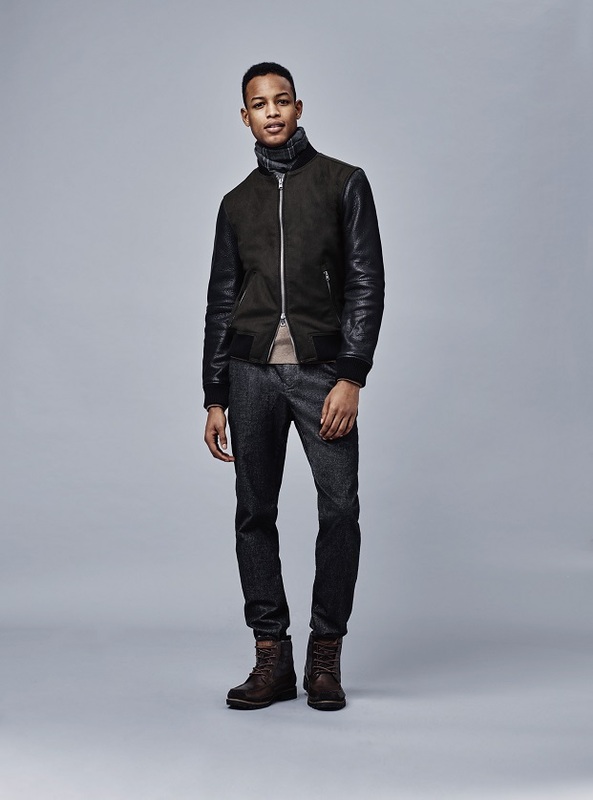 Statement outwear is key: down bomber jackets, parkas and down vests feature technical trims and details like heavy zippers with rubberized and matte finishes. The collection includes a capsule of sports-inspired pieces that channel an everyday athletic aesthetic. 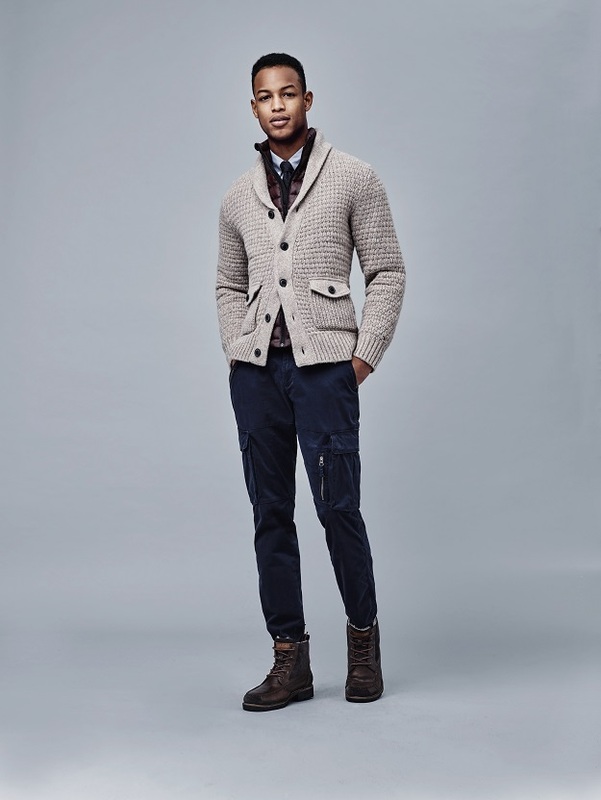 The modern woven jogging pant pairs effortlessly with a relaxed blazer, nylon vest or heavy textured baseball cardigan. The color palette gives a modern and technical interpretation to core tones of red, white and navy, with pops of batique khaki and bright blue. The celebration of pop culture continues with Art, taking cues from iconic American artists Mark Rothko, Frank Stella and Edward Ruscha. The look pairs casual weekend dressing with an irreverent twist seen in mixed yarns, chunky knits and heavy gauge twisted yarn. Texture, pattern and color combine for a bold statement featuring macro and micro patterns, color blocking, abstract lines, faded stripes and exaggerated prints. 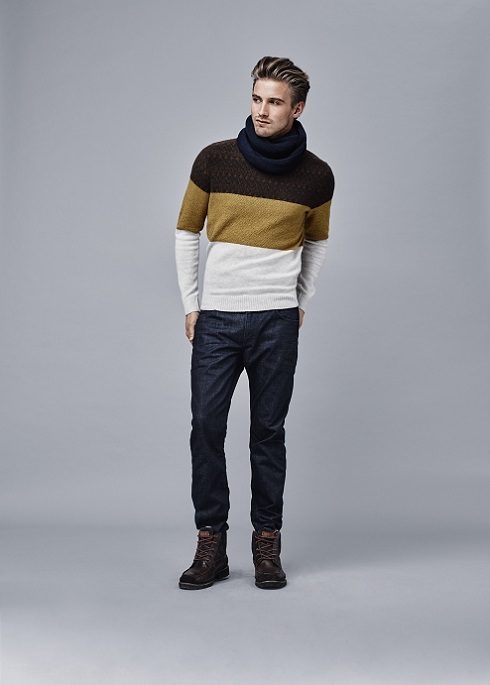 Earthy browns and greens are offset by retro pops of bright blue, yellow, plum and camel. 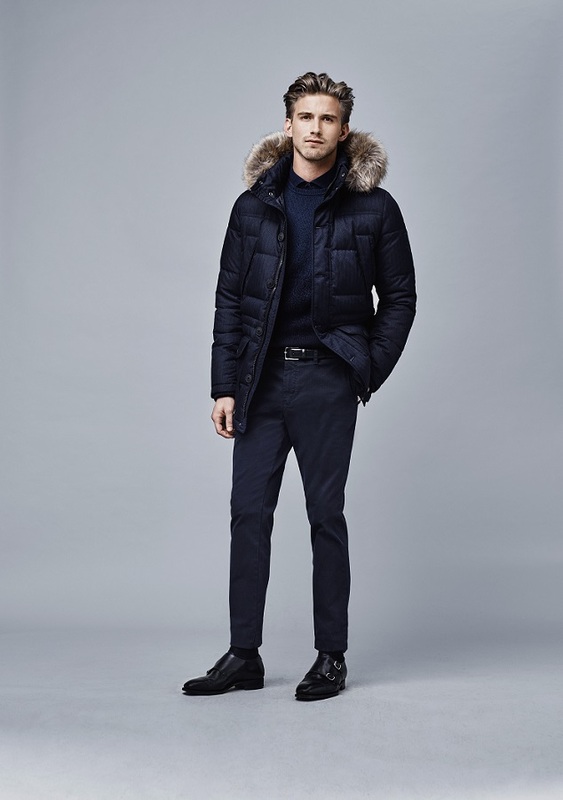 Autumnal layering is key and outerwear options include quilted leather jackets, pop colored crewnecks, lightweight down, and parkas with heavy rib collars. The final fashion group is influenced by Music, and in particular ‘70s rock-and-roll styles. 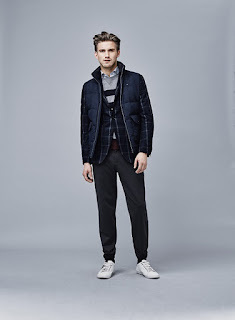 The dressed-up look combines a luxe, tailored touch with a relaxed, worn-in appeal, including clean washed denim, checked sweaters, graphic argyle, chalk stripes and wools with a technical twist. Sartorial sweaters complete the look, from fine gauge merino to chunky knits. 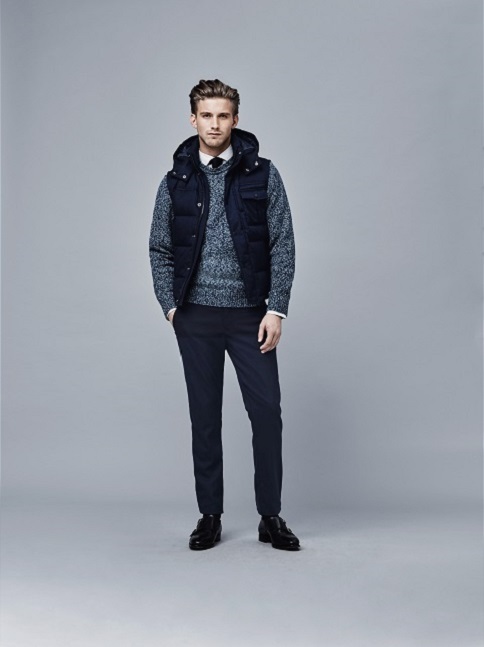 Sophisticated car coats, quilted wool vests and textured blazers, all in tonal shades of gray, pair effortlessly with flannel trousers. 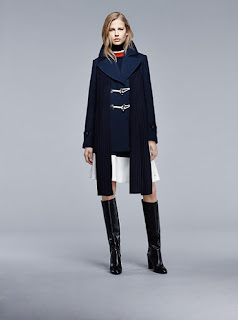 Tommy Hilfiger FW2015 Womenswear collection begins with Fashion, taking cues from the late ‘60s and early ‘70s when menswear influences and androgynous styles reigned. For early fall days, fine gauge knits and lightweight wools are ideal for layering under statement outerwear: peacoats in varying lengths; the new tailor-cut Crombie; the innovative parka in technical nylon; or the updated cropped toggle jacket. Giving a nod to ‘60s silhouettes, structured tailoring appears in blazers, trousers, dresses, skirts, and the crisp white button-down shirt. 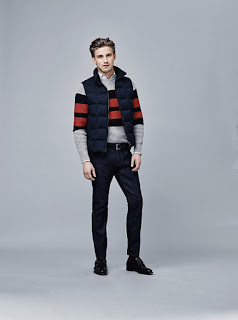 Tommy Hilfiger’s trademark red, white and blue color palette is updated in tones of tango red, snow white and night sky, with accents of titanium gray, deep mint and marina blue adding an unexpected pop. 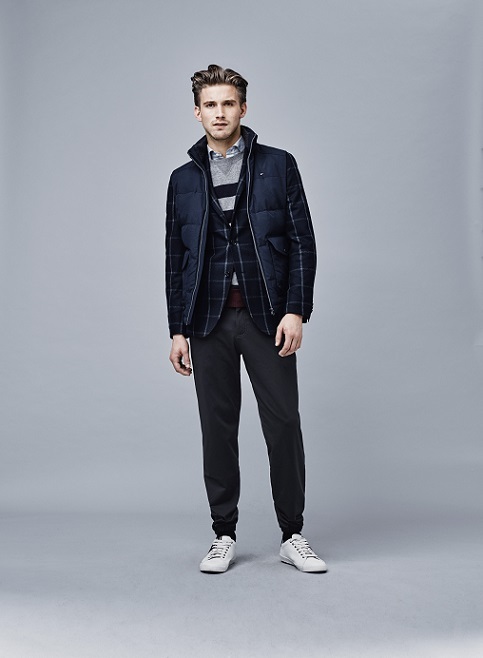 The season’s signature look celebrates pattern: pinstripes, plaids and houndstooth prints are inspired by masculine styles but reinterpreted in a way that’s feminine and fresh. Art, takes its cue from the works of Mr. Hilfiger’s favorite artists: Andy Warhol, Jean-Michel Basquiat and Keith Haring. Iconic pop art and the works of Mark Rothko influence a mix-and-match effect of dip-dyes, explosion checks, plaids, stripes, florals and degrade lines. Prominent textures include teddy fur, chunky wool, mohair and faux-fur in key autumnal shades of port wine, amethyst, shitake and fawn. Feminine dresses are offset by military accents, while the classic chino is updated with a new cropped fit. Statement outerwear ranges from ponchos and wool capes to coated denim and leather biker jackets with shearling collars. Key styles include the puffer coat updated in a new silhouette; the tailored military coat cut in both full and cropped lengths; and the ultimate in timeless appeal: the classic camel coat. Rock-and-roll Music influences the final fashion group for holiday, and the look channels the free-spirited style of iconic rock legends. Exuding a ‘70s bohemian aesthetic, feminine accents in peony and petal pink contrast key tones of deep teal, ether and sleet. 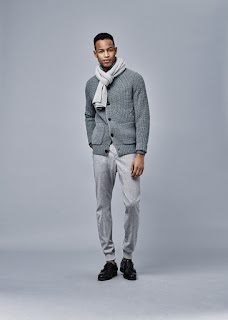 Woven sweaters feature new yarns and heavy gauge knits that offer versatility and easy layering – think ribbed boyfriend sweaters, cable-knit ponchos and slouchy turtlenecks. Skirts appear in varying lengths, shapes and fabrics, while python prints make for a bold statement in trousers. Taking a cue from the sensational nightlife scene at Studio 54, the entire look gets topped off with a faux-fur jacket.